We all have to make decisions.. Often all day long. Sometimes we make good ones, sometimes not so good!. 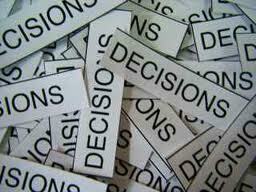 Making decisions can be extremely difficult, tiring and stressful.